RAVENA – Patricia Ann Rafferty, 74, of Ravena, passed away Sunday, October 11, 2015 at St. Peter’s Hospital. Patricia was born in Albany, where she lived until marrying and moving to Ravena. She was a graduate of Vincentian Institute, and was employed by New York Telephone Co. for several years, and then by the Federal Government for many years until retiring. Patricia loved camping at Sacandaga Lake, fall trips to Cape Cod, winters in Florida, cross country skiing, and shopping with her granddaughters. Patricia is survived by her beloved husband James B. Rafferty; her mother Alice Warnock of Menands; her children Jill Fisher of Schenectady, Jim Rafferty (Kathleen) of Newburgh, and Patrick Rafferty of Knoxville, TN; her sister in law Pam Warnock of San Diego, CA; dear members of her extended family David Gervais and Jessica Rafferty; her grandchildren Sean, Tyler, McKayla Conor and Caitlyn Rafferty; and by several nieces and nephews. She was predeceased by her father Stanley J. Warnock; her brother Jack Warnock; and her sister Mary Rossi. Funeral services will be held in the Hans Funeral Home, 1088 Western Ave., Albany, Thursday morning at 8:00am, and from there to Blessed Sacrament Church, Central Ave., Albany at 9:00am. Relatives and friends are invited, and may call at the funeral home Wednesday from 4-8 pm. Interment will be in Calvary Cemetery, Glenmont. 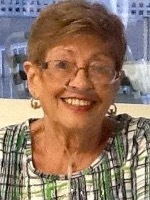 The family suggests memorial contributions to the American Lung Association, 418 Broadway, 1st Floor, Albany, NY 12207. To leave a message of condolence for the family or obtain directions to the funeral home, please visit www.HansFuneralHome.com . Click here to view Patricia’s resting place in Calvary Cemetery, Glenmont, NY 12077 (Town of Bethlehem). We are very saddened by Pat’s passing. Our thoughts and prayers are with you. Please accept my condolences. I know how much Pat was loved and how much she will be missed. May her memory be a blessing. Dear Jim Rafferty&Family, Please, accept the condolences from My Family and myself on the passing of your Mother. There is no greater loss than the death of a Mom. May Mrs. Rafferty Rest in Peace…Steve Ortiz&Family. Dear Jim Rafferty&Family, Please, accept the condolences from My Family and myself on the passing of your Mother. May Mrs. Rafferty Rest in Peace…Steve Ortiz&Family. So sorry to hear about the loss of your Mother. Thinking of you and your family. Rest in peace, dear Pat. We shared many events in grade school (OLA) and high school (Vincentian). We are so very sorry for your loss. Patty was such a special lady. Sending a lot of love and many prayers to the entire family. We are so sorry to hear of your loss of your beautiful wife Pat. We will miss our get together days with you and she. Keeping you in our prayers. Jim and Family, so sorry to hear of your loss. My thoughts and prayers are with yo. Jim, I’m sorry to hear of your loss. My condolences to you and your family. May you find comfort from family and friends during this difficult time. Jim, very sorry to hear of your loss.Carol and I think of you and your wife each time we visited the Irish Village. Thank you. May God’s peace surround all of your family.